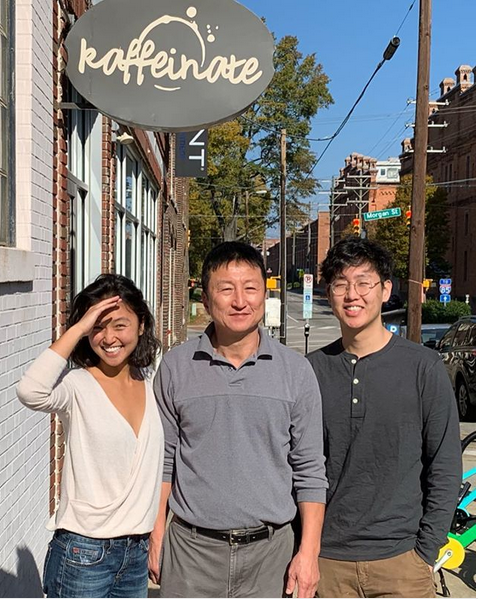 Kong Lee and his children, Diana and Raymond, in a photo posted to the Kaffeinate Instagram. The children of Kong Lee remembered their father as having "the biggest, purest heart out of anyone we know." The children, Diana and Raymond, posted about their father, the 61-year-old owner of Kaffeinate coffee shop in downtown Durham who was killed in an explosion Wednesday, on Instagram and Facebook Friday morning. The post received an almost immediate outpouring of support. The children said their father "always wanted a cafe because he loved to serve people, and we were finally able to build him one. He loved being able to bring people something that would make them smile. The family we created at Kaffeinate made him so happy." The coffee shop will be closed indefinitely, which means the store's baristas are also out of work. The Lee children wrote that they were seeking out help to find employment for them. The explosion occurred at 10:07 a.m. on Wednesday, according to Durham Fire Chief Robert Zoldos, and firefighters had worked to evacuate the coffee shop just minutes before. About 10 patrons and employees escaped to safety, but Lee stayed behind. In the Instagram post, the Lee children said their dad had called them right around that time to let them know about the gas leak and that the store would be closed for the day. "He was going to close up and make a sign to put on our door in case anybody came by later," according to the post. "He took such good care of the shop and was so proud of it." Several fundraising sites have been set up to support victims and their families.